It is true that a front garden, or an array of planters on a porch or balcony, will add to the appeal of your home among potential buyers. Selling a home in the spring months requires more attention to your outdoor spaces. However, there are ways to make short work of your garden chores. 1- Easy container gardens. 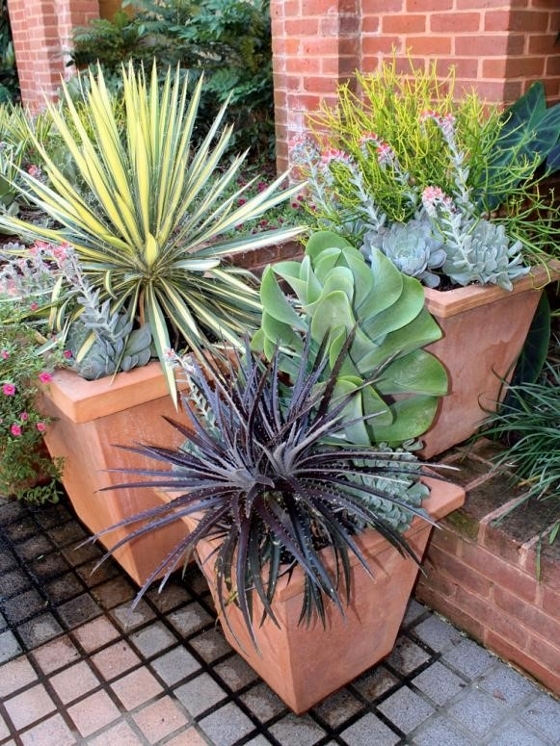 Use planted containers in a variety of shapes and sizes for a charming look in entrance ways or on a balcony. Pot your urns with a variety of tall, medium and trailing plants. 2- Incorporate perennials for easy care. Choose perennials as the backbone of your garden then add colour as needed with a selection of drought-resistant annuals. and marigolds. Perennials offer the hardiest choices. Ask at your local garden centre for recommendations on drought-tolerant plants for your area. 4- Condition your soil. To promote lavish growth, add manure or compost to your soil. Testing your soil will help identify excessive sand, clay or other elements that contribute to or take away from soil acidity. 5- Don’t forget to fertilize. Periodically, you’ll need to feed your plants. Fertilizing will keep them healthy, robust and promote consistent flowering.